The Advanced Licence is the highest level of the three grades available. With it comes all bands, modes and maximum power. Like the Standard Licence it has the ability to build or modify transmitting equipment. It is in line with the world standard. With its enhanced operating privileges comes a much greater depth of theory knowledge when compared to the Standard Licence, but with the same regulatory knowledge. If you were already competent in the Regulations Assessment for the Standard Licence, this will carry on. Otherwise you need to sit a Regulations Assessment. Likewise, all radio amateurs need to be found competent in a Practical Assessment. If you have not done so previously, you will need to do a Practical Assessment. Study for an Advanced Licence can take between 50 and 100 hours. Do remember to revise the Foundation Licence and Standard Licence knowledge as some questions include basic knowledge too. 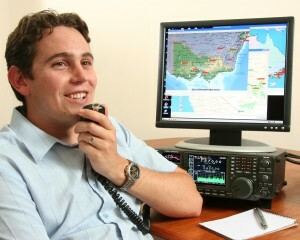 The Advanced Licence further opens up involvement in Amateur Radio enabling ready worldwide communication. It can expand an interest in communications technology and be a solid launching base to a rewarding career in science, electronics, and communications. Note : These are general band ranges provided as a guide only, please ensure you consult the ACMA LCD for specific frequency ranges, power limits and any special conditions. You can also study at your own pace via a Multi-Media Course with the Radio and Electronics School. The Advanced Licence On-line Correspondence Course has 20 assignments plus revision and assessment preparation and usually takes about 6 months at 1 assignment a week to complete with about 3 hours a week study for the average student. This course is designed for those who hold their Standard Licence and wish to upgrade, is done via email with an experienced facilitator who can offer support should any questions or problems arise. The Advanced Licence course DOES NOT include the Regulations component, assumed already to be held under the Standard Licence. Regulations however is a separate course should it be needed. 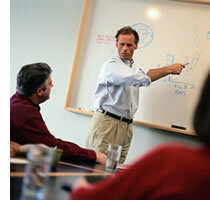 You need also complete the Practical Assessment if not already done. Please visit http://www.res.net.au for further information about the Standard Licence Multi-Media Course.